Unprecedented CO2 Crimes: Next time, Let's Call it "Cyclone ExxonMobil"
Cyclone Pam, which this past week caused unprecedented destruction in the South Sea island nation of Vanuatu, should be called Cyclone ExxonMobil. Chevron is certainly a despicable corporation, which has caused much destruction. But ExxonMobil has been even more responsible for climate disruption, because it, more than any other fossil-fuel corporation, has long been spending millions of dollars every year to buy politicians and fund climate-denial – the denial that fossil fuels are responsible for increased global warming. It is fitting to name a cyclone (hurricane) after ExxonMobil, because the global warming caused by fossil-fuel emissions is behind the increased intensity of hurricanes. To explain: Hurricanes can form only after the ocean’s surface temperature reaches 80°F, and the warmer the surface, the more powerful the hurricanes will be. It is no accident that, as global warming has been increasing, the number of Category 4 and 5 hurricanes has been increasing. 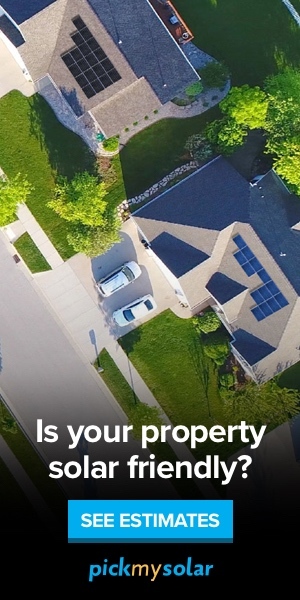 It is also no accident that the ocean was exceptionally warm at the time of the most destructive hurricanes – such as Katrina in 2005, Sandy in 2012, Haiyan in 2013 (which killed over 5,000 people and displaced over 4 million), and now Cyclone Pam. Also, if the ocean’s temperature continues to rise, the hurricanes will get increasingly worse. Indeed the suggestion that scientists should add a new category, Category 6, was evoked by both Haiyan and Pam. Moreover, if the planet continues to get warmer, it won’t be long until scientists will be considering whether to add Category 7. Why are we putting up with this? Why are we allowing ExxonMobil, which is already obscenely rich, to continue destroying our climate and threaten the continuation of civilization, just so that it can get richer yet? The criminality of ExxonMobil has contributed to Hurricanes Katrina, Sandy, Haiyan, and Pam. But the increase in the destructiveness of hurricanes is only one small part of the destructive effects to which the criminal behavior of ExxonMobil has contributed. These effects include the drought in the American Southwest; the melting in many countries of glaciers, which will, if it continues, leave billions of people without fresh water; and the melting of the ice sheets of Greenland and Antarctica, which will raise the sea-level so much that millions, and eventually billions, of people will be forced to move. All of this so that ExxonMobil and its partners in crime – especially the other four corporations constituting Big Oil: BP, Chevron, ConocoPhillips, and Shell – can keep getting richer. It is great that the movement to divest from fossil-fuel companies, led first by 350.org, and now the Guardian, is picking up steam. But although this is a necessary first step, we don’t deal with terrorist organizations by simply divesting from them. Today we expect our governments to protect us from terrorists. Why do they not do something more directly about the terrarist organizations? We expect our governments to protect us from ordinary crimes. We should insist that they protect us and our descendants from the ultimate crime. It is not written in any culture’s Good Book, I believe, that a few tiny groups of people have a divine right to get obscenely rich by any and all means – even means that will destroy the conditions for the continuation of civilization. 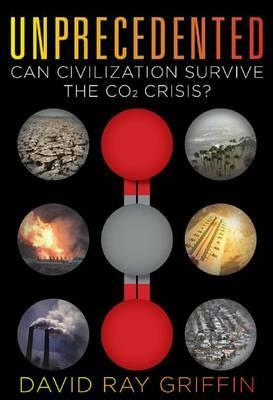 In my book Unprecedented, the subtitle is a question: Can Civilization Survive the CO2 Crisis? My answer is: “Maybe.” If we are to have a chance, we will need an unprecedented mobilization. David Ray Griffin is emeritus professor of philosophy of religion at Claremont School of Theology and Claremont Graduate University and author of “Unprecedented: Can Civilization Survive the CO2 Crisis?” (Clarity Press, 2015).